If something is 'dead good' is that a positive or negative thing? A phrase about being unhelpful. When can going to the bank be funny? We've got a phrase that will leave you laughing. Find out more about a seriously funny English phrase. Learn the right English phrase about having to put a stop to something. Here's a phrase about preventing someone from discovering something. Learn an expression about experiencing bad things to enable you to enjoy good things. What is a hard-nosed person like? Find out in this episode of The English We Speak. How do you feel if you really like something or someone? This phrase might help you. If things don't go your way, how can singing and dancing help? Here's a phrase to describe the success of a small team. A sudden and unpleasant change can come as a shock. Learn a phrase to describe this. Here's a clever expression that can describe someone doing something stupid. Rob's done all his work! Find out here if it's all downhill until the weekend for him. Learn a polite thing to say when you receive a bad present. Learn this very modern expression. How can a tasty meal leave a bad taste? Learn a phrase about giving up. Is walking in the park easy? It can be if you learn this phrase! Not all waffling is good! Describe something that isn't straight. Has someone annoyed you? Use this word. Brag if you must - just don’t humblebrag! Find out what that means with Rob and Feifei. A phrase for when you're struggling to do something. A word for a bad mood. A sweet phrase for irritating behaviour. Do you need someone to go faster? Use this informal phrase. When does the word 'ping' not make a sound? Find out in this programme. When the time comes to make an important decision, what do you say? Can you accept something you don't like? Learn an expression for a no-win situation. Learn a phrase about missing out. Learn an expression about enjoying someone's misfortunes. Can you make the impossible possible? This phrase implies you can't but what's it got to do with a cuckoo? Beards have been 'a thing' for a while. Is it now time to shave them off? Have you heard the good news? This programme has something to shout about! Feeling unhappy? Here's a phrase to describe your mood but don't take it too literally! Rob's become a bee keeper but there's something more unpleasant to this hobby than being stung. Find out how a sting in the tail doesn't just come from bees! Are you doing something very boring? We have just the phrase for you! You might know the slang expression ‘LOL’, but do you know about ‘lolz’? Poor Neil gets a lot of criticism in the programme. Of course, it’s all to help you learn English! Tricks and dishonesty: Learn this phrase before it fools you! If you do something left, right, and centre does that mean you do it everywhere? Rob's being doing just that but what's he been doing it with? Going on holiday to do your job? What's it got to do with driving a bus? Old-fashioned and set in your ways? Could you be one of these people? Nothing, absolutely nothing, nothing at all… Not even one little sausage! Not everything in this life is fun. Learn a phrase to describe boring jobs! Looked everywhere? Learn a phrase about shops that isn’t about shops! Heard something unconvincing? Maybe it's time to get out the washing powder! Getting less for your money? Could you be the victim of 'shrinkflation'? A word for when a man explains to a woman something in a way which suggests she's stupid. Feifei and Sian discuss a word to use when something unexpectedly appears in your photo. An expression for when something is likely to happen. What's on the cards for you? Rob's been asked to dress up like a monkey but it seems like someone is literally making a monkey out of him! When things are not going as planned, we can say they've gone ‘down the pan’, but which pan is it? How can you describe someone good looking but not interesting? What's a razor got to do with Rob's bike ride to work? Here's an expression for when you've had a narrow escape. Why did Rob ask Feifei to meet him in the studio? Here's an expression for when you've forgotten something. Find out how 'sleeping on it' doesn't just mean lying on a bed! Neil can't find his script. His pen's gone missing. He's feeling a bit confused. What's wrong with him? Find out in the programme. Feifei wants to borrow Rob's car but she takes a long time getting to the point. Find out why Rob tells her not to go around the houses. And why doesn't Rob want her to drive his car? When someone says the phrase 'done and dusted', do they mean doing some proper cleaning? It's hard to swallow but maybe it's time for a chill pill! Who's the wild card in the office? Rob and Feifei use a phrase to describe an unpredictable colleague. Li and Neil go for a coffee, but why do they have to keep a lid on it? Learn a phrase to describe the ability to react quickly to things. Feifei and Harry use an expression for things that amaze and astound. Neil and Li talk about how a boxing expression can be used in everyday life. Feifei and Harry use an expression for people and ideas that change the way we do things. Harry and Feifei look at an expression for when things surprise and impress you. Harry and Feifei talk about a common colloquial expression for when things are intense. Harry and Feifei talk about an expression that is not as violent as it sounds. Rob is deleting some emails. He won't take the bait sent in by criminals! Feifei has a thing or two to learn from the ducks in the park. So do you. Listen to the programme. Li wants to invest in a car moved by air. Is she going to lose her money? Is Feifei giving up her job to take care of babies? Learn an amusing idiom: 'Don't throw the baby out with the bathwater'. Do you know Joe Bloggs? He might be just beside you. Rob had too much to drink. Is this the cure for his hangover? Finn is spending a lot of money. But can he afford it? Finn is angry, so Li offers him some tasty cheese. Will it calm him down? A style of walking that is hard to do on your own. What does Rob mean when he says 'the proof is in the pudding'? What’s the link between dinosaurs and mobile phones? If someone says you look like 'the back end of a bus', is it a good thing? Wow! Ouch! Yippee! The useful little sounds which mean a lot. Having a repetitive and boring conversation? This expression is for you. Neil and Li are going on a camping trip. But are they packing too much? Neil and Li want to help protect baby turtles. But do they need a drum? Neil and Li are keen to go home. How long will they have to wait for the bus? Li is told she won the lottery. But is it true? Neil has bad news for her. When does 'funny' have nothing to do with laughter? Rob wants a pay rise. But why do his 'cold feet' stop him asking for one? It's hard to find the right place to live. Here's an expression about space. Buying something really good but super cheap? This expression will make you think twice. Li and Finn are looking on an online dating website. Li thinks she's found Mr Right. But Finn thinks he might be a wrong 'un. Learn more about this phrase in the programme. Finn and Li are in the woods. Can they see more than birds flying in the sky? Can't quite remember what to say? We have a phrase that might help you. What does it mean if you say an actor has lots of awards under his belt? How can Feifei save money for a new car? Will she go the extra mile? How are boots connected to a changing situation? Rob is having serious problems with a project. Li wants to help him. But how? Listen to the programme to find out. Behave or you might end up in the kennel with your dog. Learn a new phrase. Rob and Feifei share a hearty meal and a new phrase. Join them to learn more. What are you treading on if you're trying not to offend someone? We can explain. What does 'taking a rain check' mean? Do we need an umbrella? What's the connection between bread and common sense? You might need this expression. Playing cricket is not the only place where you could get stumped. Find out what it means when it happens to you. Finn and Li go to his late uncle's house. What is Li afraid of? We hope this expression won't frighten you. Why is Finn cross with Li? Here's a good expression for when you're out of patience. If something is crystal clear, how clear is it? Rob and Feifei find out when they build a wardrobe. The glass and steel buildings of modern Shanghai are ginormous. What does this mean? What are you hoping to catch when you're fishing for compliments? Which way are you going if you're not making any progress? Discover a phrase to use when you keep coming back to the same problem. Li starts to get worried when her colleagues talk about going for a 'bottomless' meal. What does it mean? Find out more by listening to this programme. Are you feeling tired today? Or are you full of beans? Learn more about this phrase in this programme. You don't need fireworks to say a party is going really well. Do you always consult with your other half before you make important decisions? Neil says he has a lot of 'bits and bobs' to sort out. What does he mean? Feifei spots a celebrity in the lift who says he's going to get some nosh. Rob has to explain exactly what he's going to get. Do you like playing cards? Are you ace at playing cards? Join us for an 'ace' programme. Beef is meat that comes from a cow, right? Yes, but there is another meaning... Find out more here. Finn has got his camera. Who does Feifei want to see in the picture? Feifei has just returned to the office after a really relaxing holiday. So why does Finn ask her if she had a ball? Find out in the programme. Neil and Feifei are about to watch a play but there is a lot of drama outside the theatre. What is going on? When is a bell not a bell, and a dog not a dog? Find out in our programme about phone slang. In this series you can learn authentic English words and phrases. This week's programme looks at the phrase 'a can of worms'. What do you say in English if you can't remember someone's name? 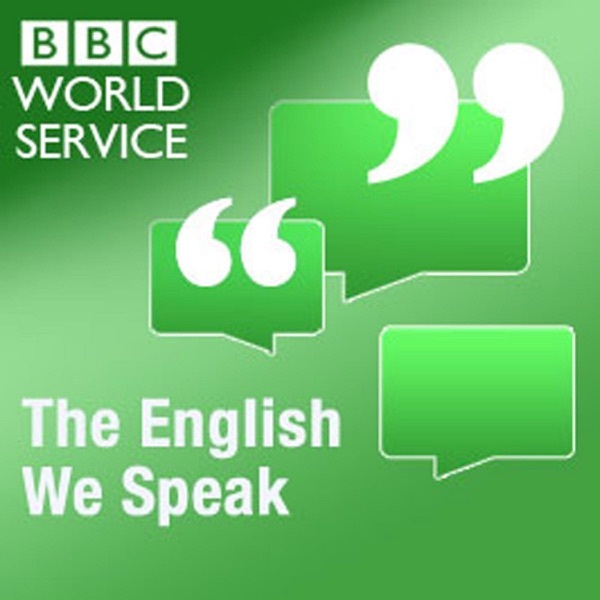 Listen to this programme to learn lots of different phrases you can use. Learn English with horses. In fact, learn it 'straight from the horse's mouth' in this programme. Join Li and Finn for a drink in the bar and learn a new way to ask someone what they want. Using weather idioms: is Jen chasing rainbows, or is it a storm in a teacup? Legends are stories about people who lived long ago, right? Well, there's more to it than that. It's doing my head in! Annoyed? Frustrated? Angry? Maybe it's doing your head in! Finn wants to share some special food with Li. But they receive some uninvited guests who also want to eat their delicious picnic snacks. How many eggs should you put in one basket? And what has that got to do with taking risks? It's laughable. How to say that you think something will never happen. Can someone change their personality? A leopard can't change its spots. Seeing red: what is making Jen and Feifei so angry on their day trip? Zzzz... Neil had a crying child in his room and Feifei had a mosquito in hers. That's why neither of them has slept a wink. Are you obsessed by a hobby or sport? Feifei is but Jen's not impressed! Were you born yesterday? Probably not, but this is a useful expression if someone's trying to fool you. Neil is cooking an unusual meal in the BBC Learning English kitchen. Would you like to eat a book? Things are 'on the up' for Jennifer and Jean at work. Find out why in The English We Speak. Do you know what this text message abbreviation means? Find out with Jennifer and Rob in this week's programme. Feifei thinks that Catherine looks better, younger, prettier. Why does Catherine look so different today? Find out more with The English We Speak. Does Finn have to look after his uncle's white elephant? Find out more with The English We Speak.